Happy Monday, Lovelies! I hope you had a great start of the week. What are your plans for this week? Well, it's independence day tomorrow! First holiday for all those who just started school last week. *Hoooray* I missed being a student. Yay. Anyway, here I am now to share my outfit last Saturday in which we went at Angeles, Pampanga for Ram boy follow up check up then mall hopping after. Lol. Tadaaaa! My favorite pictorial place, our terrace. >.< Does my top look so formal? Well, it's kinda deceiving. Just look further to the next photos. I personally love how this OPEN SLEEVE SHEER TOP WITH VNTG CUFFS was made. The details of the vintage cuffs made this top more elegant. Here's a close look of the vintage cuff. Thanks to Marmie & Allan of COPPER. 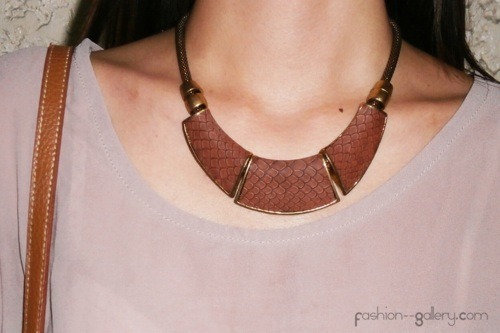 And this Snake Skin like brown vintage necklace came from Gurly Glam Shoppe. This online shoppe offers Korean and Japanese Fashion Items in a very inexpensive price. Well, I've been eying this kind of necklace a long time ago and I finally have it now. Just perfect for my outfit that day. 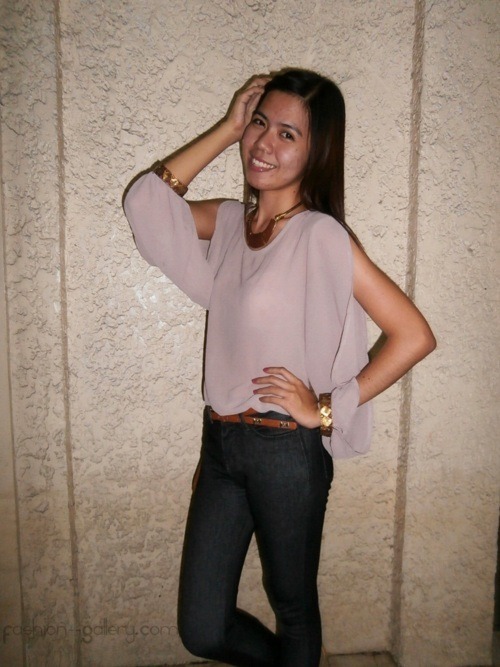 Thanks to Sis Sasha of Gurly Glam Shoppe for this lovely necklace. This Ibiza sandals was inspired by the effortless beach babes (with their long wavy hair and gorgeous gams) who frolic around the renowned city, the IBIZA sandal is simple, classic, and stylish. This sandals have soft, padded soles with stitching detail. It is also available in Sea Blue, Sand Beige, Scallop White, Seashell Pink, and Lavender Sunset. They are on SALE now so better check their shop NOW. Thanks to Daryl & Chauntia of Tribute Shoes. That's it! 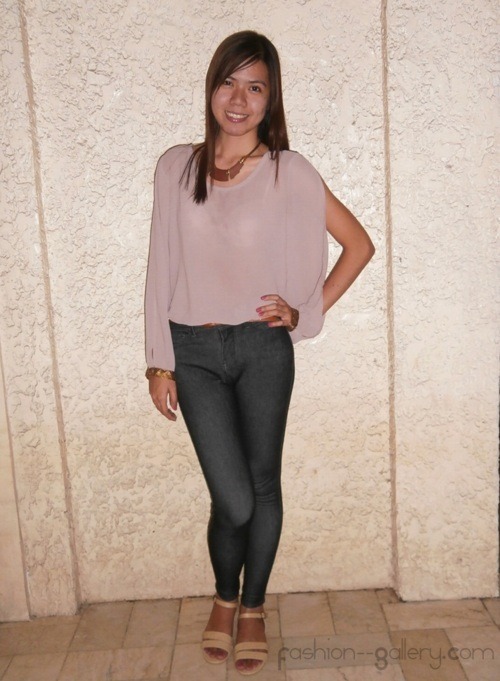 And oh by the way my jeggings are from HERBENCH. :) Any thoughts about this outfit? Just leave it on the comment box below.